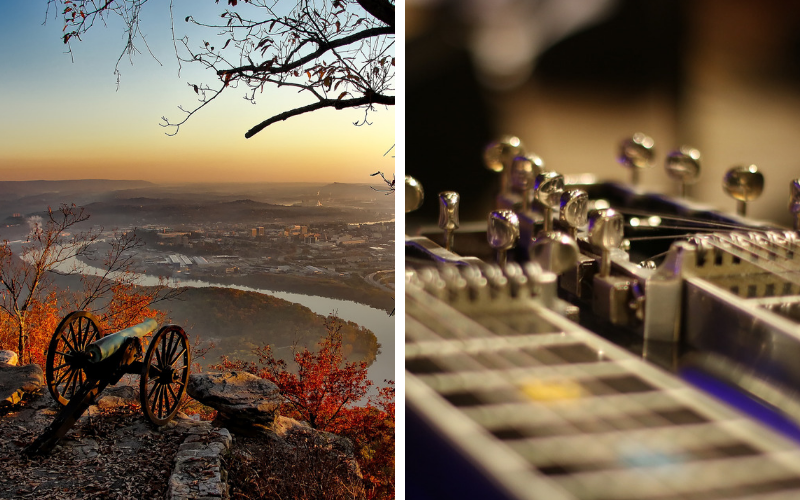 The Tennessee Music Highway, the stretch of Interstate 40 between Nashville and Memphis, is rich with music history, great places to eat, and it passes through and near some of the state’s significant Civil War battlegrounds. If you’re a history buff and hungry for some great Southern food, the route is a geographical (if not strictly chronological) tour through the history of some important Civil War sites. Nashville was the first major city in the South to fall to the Union and marked the effective end of fighting in the western front of the war. During a pitched two-day battle on December 15-16, 1864, the Union forces under the command of Major General George H. Thomas routed the Confederates led by Lieutenant General John Bell Hood. Much of the bloodiest fighting took place a few miles south of Nashville in Franklin. In Nashville proper, most of the war zone is now suburban neighborhoods with just the occasional historical marker to relate what happened years ago in the rolling hills and fields. The major historical site worth visiting is Fort Negley, the largest inland stone fort built during the war. Some of the structure still remains on a hill with a commanding view of downtown, and a modern Visitors Center displays artifacts from the battle plus runs informational videos and self-guided walking tours. Heading west on Tennessee Music Highway, Parker’s Crossroads is near the Tennessee River; on December 31, 1862, it was the site of a skirmish between famous Confederate Brig General Nathan Bedford Forrest and Brig General Jeremiah C. Sullivan. It wasn’t a convivial New Year’s Eve as the Southern Army rained artillery down upon the Union before demanding a total surrender. A Union brigade flanked Forrest’s men leading to the Confederate General’s command to “Charge ‘em both ways!” His troops managed to fight clear of the encircling forces and retreated to fight another day. Interstate 40 passes right through the battlefield, and local groups are trying to preserve the historically significant sites. 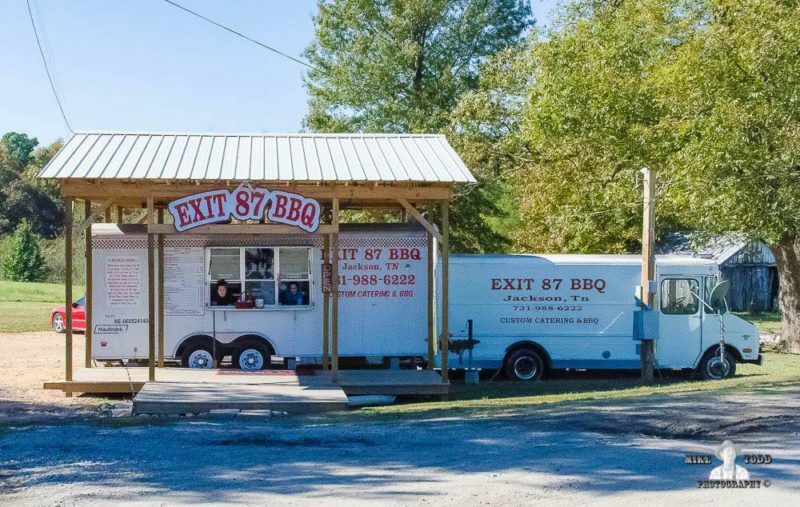 For a quick bite near Parker’s Crossroads, stop at the aptly-named I-40 Exit 87 BBQ Stand, a humble trailer parked on the side of the road that makes some tremendous barbecue inside a tiny kitchen. 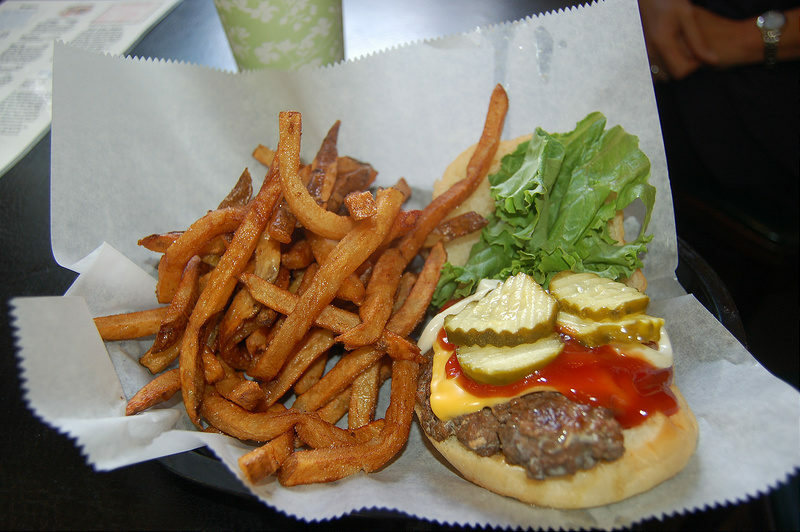 Serving breakfast, lunch and dinner, Exit 87 features pulled pork, St. Louis-style ribs, some great BBQ chicken, and a delicious specialty of fried bologna sandwiches. You’ll probably have to eat in your car, but it’s worth it, and the delicious smoky aroma will linger with you as you head on down the road. Continuing toward the Mississippi River, you’ll pass through Jackson, the eighth largest city in Tennessee. Now a center of education and industry, (Pringles are made in Jackson!) the city was the site of a battle between generals Forrest and Sullivan on December 19-20, 1862. A noted horseman, Forrest led his Calvary to a smashing victory against the mounted soldiers on the Union. He then went on to attack Union supply depots in nearby Humboldt and Trenton. The Battle of Shiloh was fought close to the Mississippi border about an hour south of Jackson. It’s definitely worth the side trip to visit this historically significant battlefield where what was at the time the bloodiest battle ever fought on American soil played out on April 6-7, 1862. The Army of Tennessee led by future president Ulysses S. Grant faced off against the Confederate Army of Mississippi under the command of General Albert Sidney Johnston. Other famous names on the battlefield included General William Tecumseh Sherman and General John A. McClern. Johnston, who was mortally wounded during the first day of the attack, was succeeded by General P. G. T. Beauregard who decided against leading his tired men in a full night attack. Grant counterattacked on day two and forced the Confederates to retreat after both sides sustained thousands of casualties. The Confederates were forced to retreat, opening the door for Grant’s troops to plunge into Mississippi on their way to Vicksburg and gain military control of the critical Mississippi River. 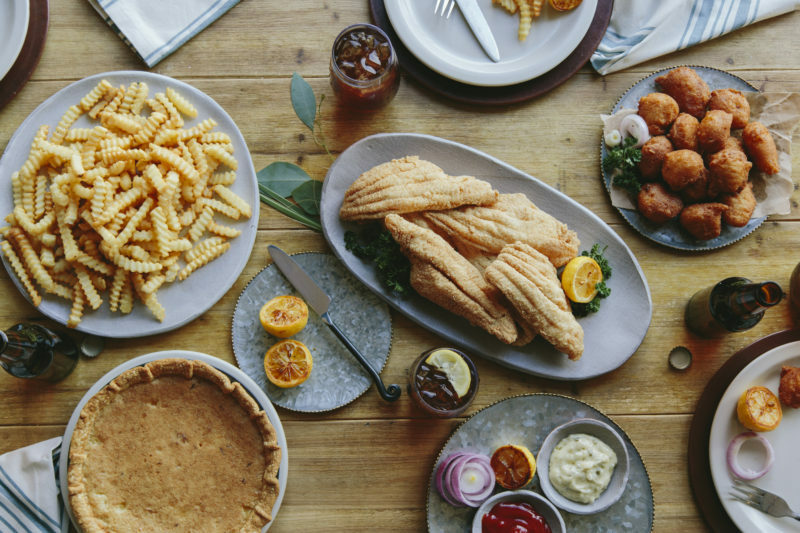 While you’re in the neighborhood, plan a big meal at Hagy’s Catfish Hotel on the Tennessee River. Union soldiers occupied the shack built on the land during the Battle of Shiloh, and since 1938 a restaurant has been on the site serving up platters of delicious golden brown fried catfish with all the fixins plus steaks, seafood, country ham, ribs and some of the greatest hushpuppies to ever take a swim in hot grease. Save room for a slice of the famous pies. By the time you pull into Memphis on your trip through time, you’ll probably be ready for something novel. How about a Civil War naval battle? That’s right, on June 6, 1862, eight rebel boats battled nine Union gunboats while many of the citizens of Memphis watched from the bluffs along the Mississippi River. The Confederate vessels were seriously outgunned with only a few small, light-caliber weapons that had little effect against the heavily armored Union ships. Instead, their main tactic was to try to ram the gunboats with their reinforced prows, an idea that turned out to be tragic: All but one of the Confederate ships were either destroyed or captured in less than two hours. The short battle resulted in the surrender of Memphis to the Union the next day. For an authentic taste of Memphis that isn’t barbecue, head to Earnestine & Hazel’s, an authentic juke joint frequently named the best dive bar in America. Through the years the building has been home to a pharmacy, a beauty salon, and a brothel. Legend is that it’s haunted: the jukebox will occasionally just start playing for no apparent reason. When at Earnestine & Hazel’s, order the iconic Soul Burger, a simple but delicious patty topped with grilled onions, cheese, pickles, and a famous secret Soul Sauce. 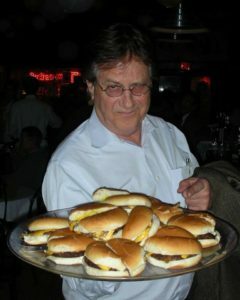 The bar opens at 5 o’clock and stays open until early in the morning, so you don’t have to rush to get your Soul Burger. Just don’t miss out on the chance! This is the fourth installment of Nashville-based Chris Chamberlain’s series about the Tennessee Music Highway. 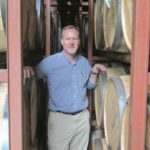 Chris Chamberlain is a food, drink and travel writer based in Nashville, Tennessee.